Fit-and-flare white cotton dress. Roud collar, short sleeves. Chest contouring for better fit. 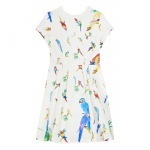 The dress has a hidden fastening zip on the back. 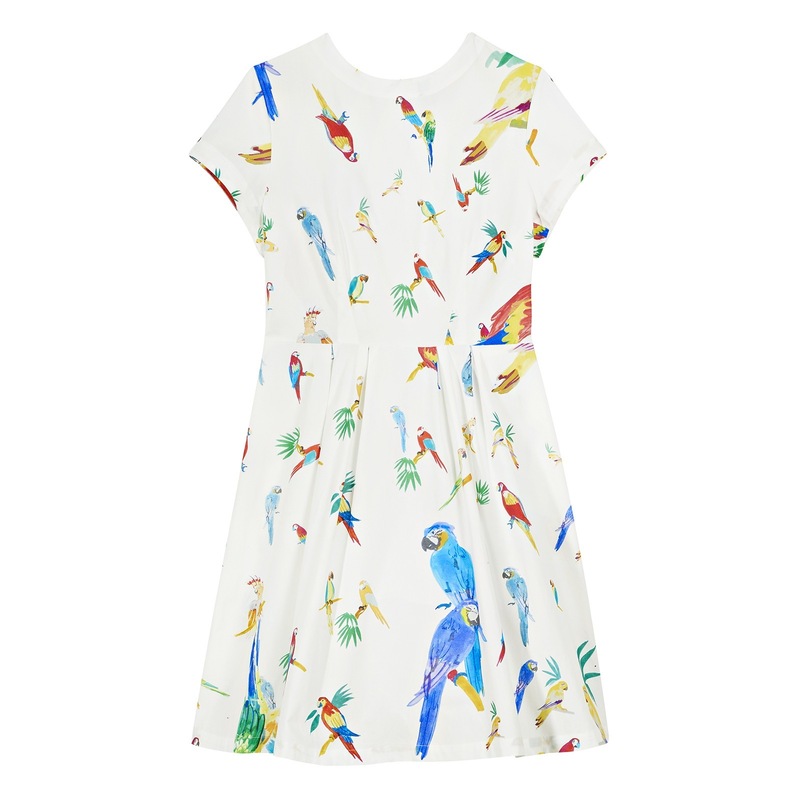 Colorful parrots print all over. One of a kind. Numbered serie. The name of this artwork is "Les Perroquets". The model on the picture is wearing a size Small. For measurements, please check our size chart. Please note the size chart is in centimeters.